for those of us that remember, that Kate had dirty feet back in the day. ^ Goodness, when was that? Was she digging something in Charles's garden? Trying to bury sth? ^^Self tanner gone bad hurriedly slopped on while sitting on the toilet syndrome, methinks. She's too lazy to have worked in a garden. Oh that's grim. I know she's idle with no self respect but no personal hygiene or grooming whilst in the public eye? That blog is something, I see new (to me) pics of Waity flashing everyone. The only thing the woman in these pics has in common with the woman she is now, is the flashing. And the gurning at "events"
I give leeway for genuine excitement. ^I agree, before she married she seemed healthier and happier, but she got the blue ring and things went downhill. I guess she realised fairytales are just stories they feed us as children, there's no such thing as happily ever after. That article is poor BS. I skimmed over it. 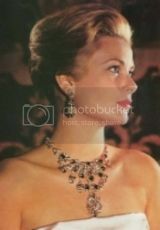 Firstly it claims Liz uses nail varnish, some pale pinky shade since he 1980s. I mean, really. Then it says Waity uses that mixed varnish regularly, even though her nails are clearly either bare or buffed, rarely does she wear varnish on her fingers, when she does it's noticeable and it's always clear; only on her toes does she do colour, and I swear to God, I think she uses the same Chanel shade Diana used to use and does the same as Diana: no varnish on fingers (she did that later when she divorced and wasn't working on behalf of Liz) but a stark colour on toes (sticking to reds, mainly burgundy). And lastly, I am a cosmetics addict and mix and match as I please, but never would I mix nail varnishes, esp between brands. I admit though that I'm not very much into nail varnish and a nail person will know what they are doing, but the chemical mix of nail varnishes is sth else than powder and foundation or lipstick or moisturizers and can create reactions, esp when mixing between brands. People are discouraged from mixing nail varnish and it's messy as heck (I was very briefly into nail vanishes a few years ago, but it was always to bothersome). The two shades shown make little sense for mixes anyway. Two pale, basically translucent, pinks. Wow, how daring and revolutionary. Apart from total, she wouldn't want to wear any coloured nail varnish otherwise we'd all be looking at her nails instead of her precious Diana's ring. 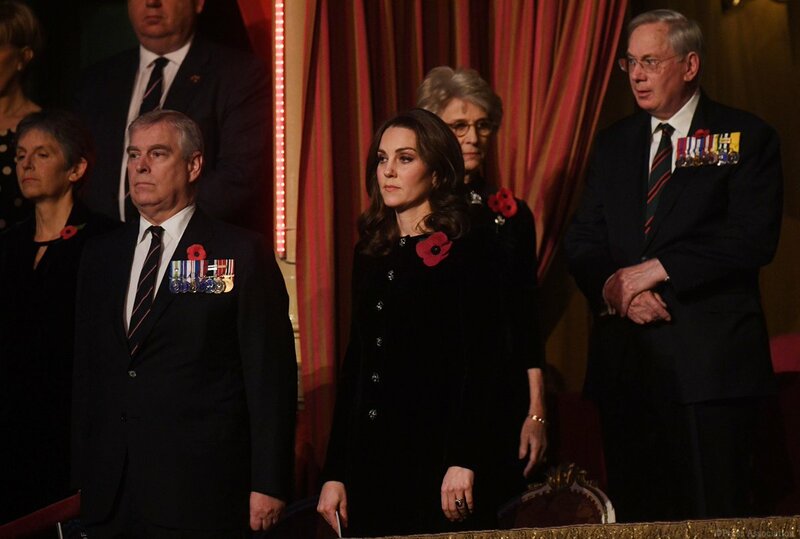 Kate "chose a beautiful new black velvet coat by Catherine Walker tonight. The piece is a bespoke version of the Caressa Jacket (with thanks to Laura).The Caressa is described as "The structured, nipped in silhouette with a gentle flick at the hem contrasts beautifully with the full skirt. 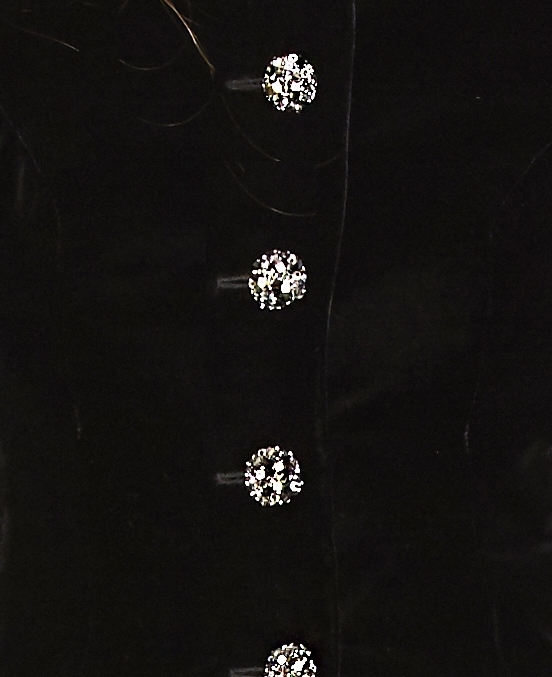 Jet, glass and silver Swarovski buttons lend a further eye-catching dimension oin this black silk velvet jacket"." "A closer look at the swarovski buttons." 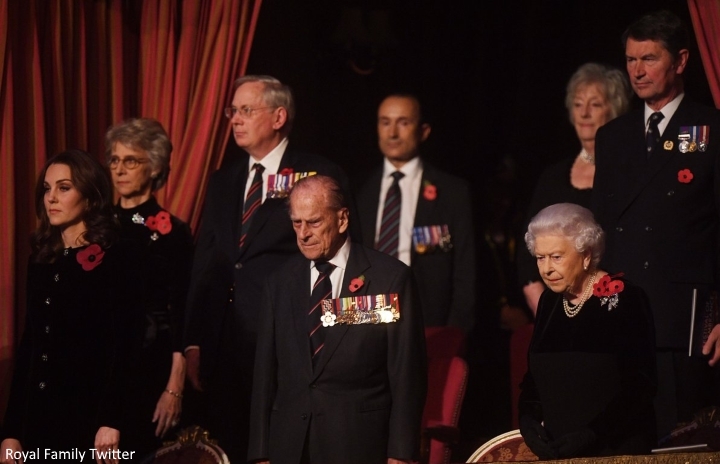 good grief could she look any more irritated to be there. can't tell what it is disdain for being forced to work without her protector PW or that permanent resting b***h face in that 2nd to last picture. She was made to go. She has her 'I'm so bored and so above all this' face on. 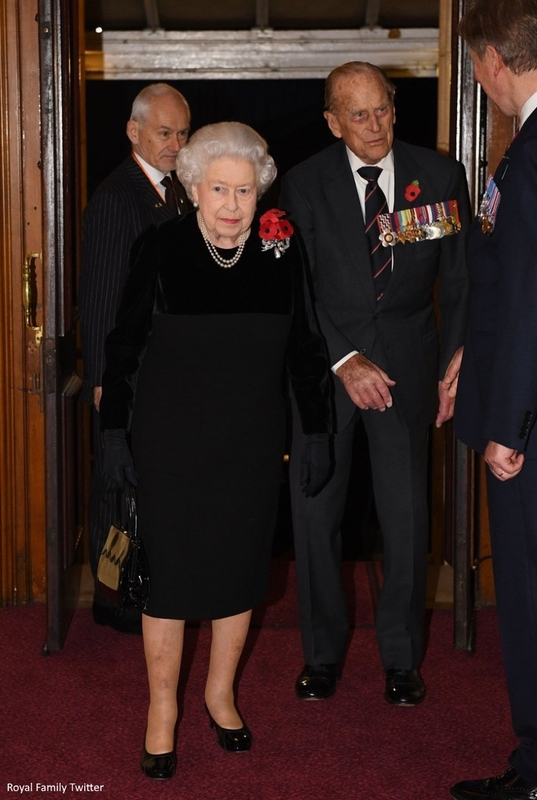 Something tells me she was forced to go to this gig - with a bunch of family members that she probably doesn't talk to much - and that's the cause for the sour face. She'd rather be at home.